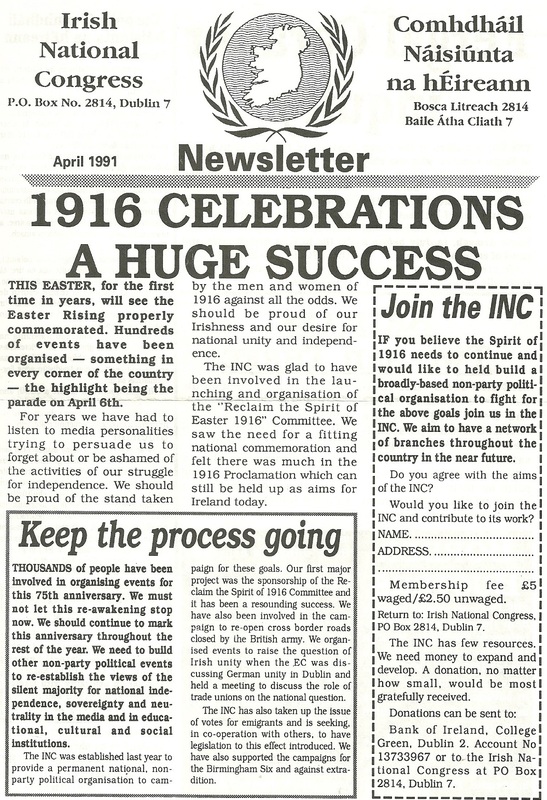 The April 1991 Newsletter from The Irish National Congress. The Irish National Congress is an Irish republican organisation formed in December 1989 to prepare for commemoration of the 75th anniversary of the 1916 Rising. Its members work on a non-party political, non-sectarian basis for a united Ireland, and human rights. They campaign on various other matters such as justice and peace issues, investigations into political deaths of nationalists and civilians in Ireland, and Irish neutrality.